Lead, considered to be toxic, isn’t always a hazard. If, for example, the lead-based paint in beneath layers of lead-free paint, then it may not cause a problem — it’s when the lead paint is at the surface, where it can cause an issue as it can be rubbed, scratched or even disturbed by a water leak, eventually getting into the air particles you breathe. This can be quite the problem for the young and those who are pregnant. 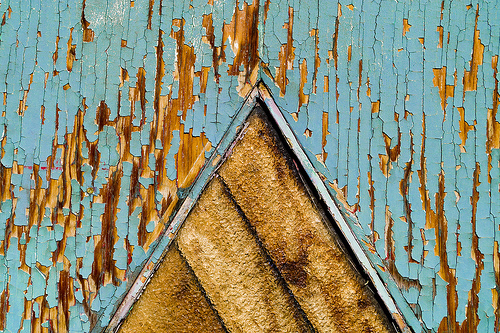 The older your home is, especially if it was built before 1940, the greater your chances of lead paint will be as nine of 10 houses built before this year used lead paint. In 1978, lead-based paint was banned, with lead-based plumbing prohibited in 1986. How much does a lead-based paint inspection cost? The costs of a lead-based paint inspection will depend on the inspector you hire, your geographical location and the size of your home. From our research, the average cost of an inspector will range anywhere from $300 to $500 for the average 1,600 square foot, three bedrooms, two bathroom home. For a decent estimate, we recommend budgeting about $0.25 per square foot, with most inspectors requiring a $125 to $150 minimum to complete the work. If you’re thinking about hiring a professional, we do recommend you use HomeAdvisor.com to find screened contractors in your area. With this free-to-use tool, you simply describe your job and contractors in your area will contact you with a no-obligation quote, either via email or phone. At-home kits, while it shouldn’t be considered as an alternative to a professional, are available online and can cost as little as $15 to $25. With these kits, a lot of top-rated sellers are EPA recognized and will offer results in as little as 30 seconds as long as it’s used properly. To use, you crush, shake and swab the surface, and if the results turn red, then it likely means lead is present. The EPA also has a list of approved at-home testing kits. According to HolmesInspectioncom, they note the average fee to test will range anywhere from $160 to $400. A real estate agent from South Carolina on this Trulia.com thread noted you will often pay about $450 for a lead-based test. The costs will not stop there if the inspector finds lead-based paint on the surface of your walls. If revealed, you will need to hire a lead risk assessor to determine the risk and analyze the levels. To do this, they will peel a piece of paint off of your wall and sent it off to a lab for further analysis. This analysis, on top of the estimates mentioned above, can cost another $400 to $500. To have a professional remove lead-based removed in your home, the costs will depend on a variety of factors, including the size of your home, geographical location and the professional you use. We wrote a guide in the past on this very topic and noted it would cost about $8 to $17 per square foot to de-lead a home. Lead inspectors often use an x-ray fluorescence analyzer, which is a tool designed to detect paint, as well as surfaces, to determine if the lead levels are above safe levels. Inside a typical report, the inspector will include all of the troublesome areas and a quote, if they offer remediation services, on what it may cost to resolve the issue. This report will only tell you if the surface contains lead, not the air and/or soil. Aside from the x-ray fluorescence analyzer method, contractors may also expose the different layers of the paint, down to the wood, either from around the window or trim. With these samples, the results are then tested with an EPA approved test, indicating if the lead is currently present. If the section does indicate lead, then it will be tested again to confirm the results and a treatment abatement plan or maintenance schedule will be discussed. If your home tests positive for lead, then the law will require you have it removed as there are strict standards set by the EPA for the amount of lead levels allowed inside a home. When removed, it must be done by a certified professional who has undergone rigorous training. To find a locator in your area, you can use the official EPA search engine here. As of December 6, 1996, a Federal law went into effect requiring sellers disclosing any known lead-based paint surfaces when selling a home.